A CNA will assist medical staff such as caregivers and RN’s, by providing care to patients in rehabs, nursing homes, assisted living facilities and hospitals. Many of the tasks performed by the CNA are routine in nature and will include emptying bedpans, changing bed linens and taking a patient’s vital signs. The certified nursing assistant programs will consist of eight to twelve weeks and will include at least two weeks of clinical training. An applicant for certified nursing assistant programs will need to have their high school diploma or GED, be up-to-date on vaccinations and pass a criminal background check. The classes offered for those individuals seeking a career as a CNA can be found through vocational schools, healthcare institutions and community colleges. Some CNA programs will also include a basic life support class and CPR and first aid certification courses. 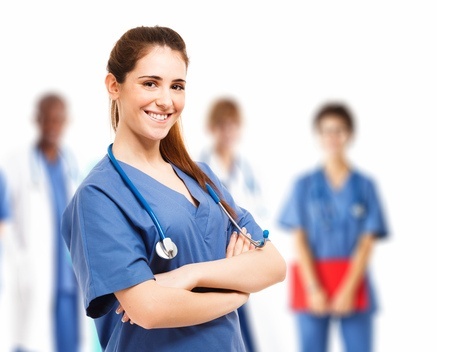 Federal and state laws require the CNA student to have 75 hours of supervised training. Graduates of certificate programs will be qualified to fulfill all daily care requirements for infirm, elderly or injured patients. The core classes in a training program will include feeding and nutrition, infection control, patient’s rights, hygiene, wound care, physiology, medical terminology and anatomy. Once the coursework aspect of a program has been completed the student will be eligible to complete the comprehensive state exam for certification. During the clinical part of a program you will work under the supervision of an LPN or RN and perform care giving duties. The program instructor will supply students will a check-off list that will include tasks that need to be completed in order to successfully pass the course. Some of these tasks will include denture care, transferring a patient, feeding a patient, compression hose removal, providing bathroom care, changing bed linens, ambulating with a patient and peri care. Once the CNA is ready to work in the field they can find employment at assisted living or nursing home facilities where they will perform care giving duties. 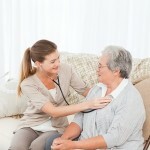 To work as a caregiver you will not need to have formal training or certification. For those working as a caregiver with CNA certification you can expect to earn two to three dollars more an hour. A state may require more than the 75 federally required hours in order to obtain certification, with some states requiring up to 150 hours of clinical experience. 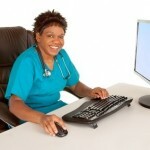 An aspiring CNA will need to prove their aptitude on practical and written nursing skills exams. Once a student passes the test they will be placed on the state certified nursing assistant registry. The certified nursing assistant will need to complete continuing education courses in such areas as HIV/AIDS, patient safety, medication administration, patient documentation, and patient’s rights in order to qualify for license renewal every two years. As a CNA you can choose to specialize in a specific setting such as a hospice or rehabilitation facility, which can require additional training. It’s also common for a CNA to further their education through a four year nursing program. The clinical hours earned through a CNA program and the field experience earned as a CNA will help aspiring nursing students to be accepted into a program. How to get paid for CNA Training?